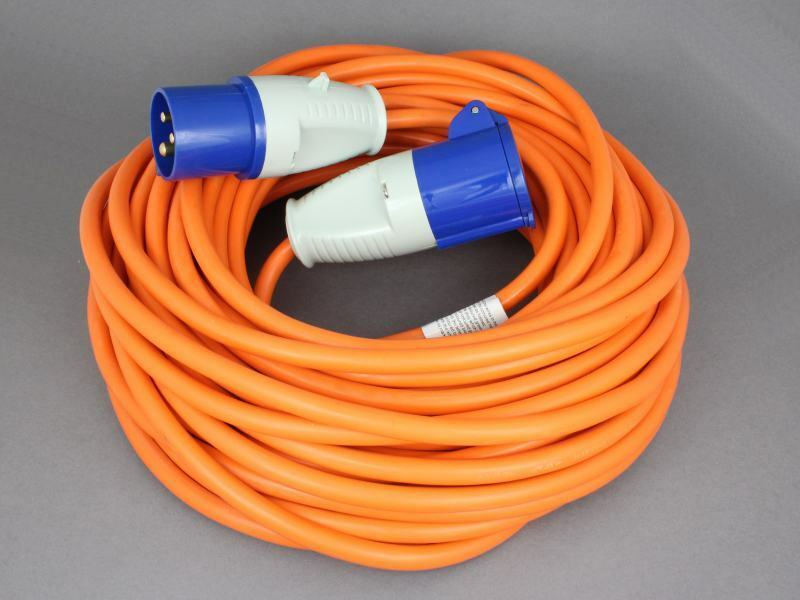 25m long 240V mains hook-up cable for connecting the inlet on your caravan, campervan, motorhome, boat or other vehicle to the site power supply. This 3183Y flexible orange extension lead consists of 3 cores of 2.5mm2 stranded copper cable rated at 20A with PVC insulation and sheathing. It comes pre-fitted with a weatherproof (IP44) 16A plug and socket (coupler), is manufactured to BS6500 and tested to IEE/BS standards. Delivered next day even though we ordered on the 2pm deadline. Exactly what we needed, worked perfectly well on the first time we have tried it. Exactly wht i wanted . Thank you. 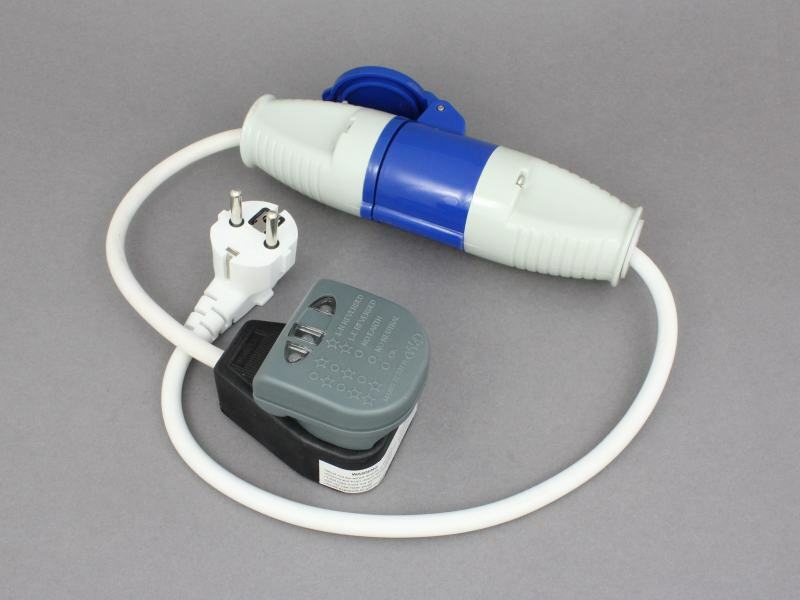 This was no flimsy lightweight extension lead. This is a well made quality cable which was delivered extremely quickly. Very pleased indeed!